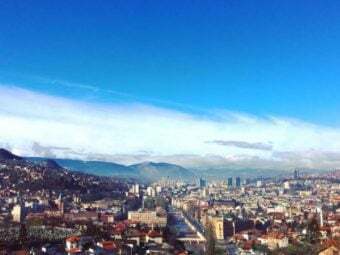 An introduction to Albania’s Concrete Bunkers. 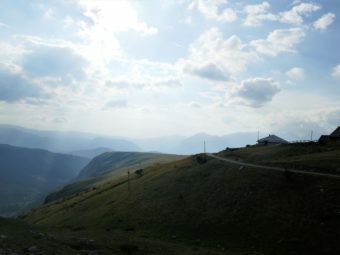 Of all the countries explored by the Great Balkan Ride adventure rally, Albania is likely the most unknown and underrated. 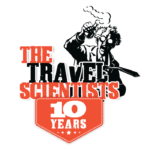 It has an incredibly diverse landscape, a unique culture, and a fascinating history. 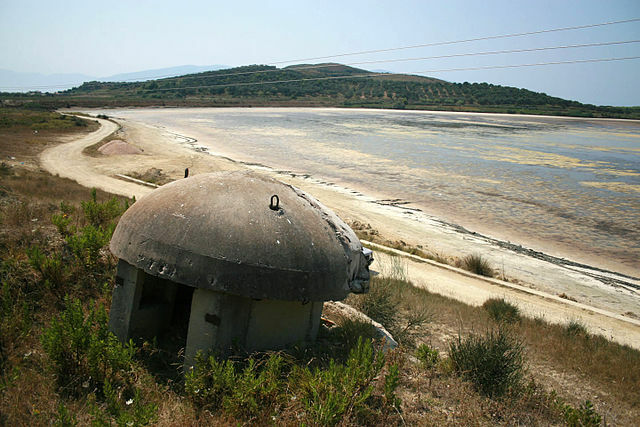 Albania’s concrete bunkers are the most visible relic of the country’s past, since they are to be seen everywhere. Really…. everywhere: on mountain tops, beaches, road sides. There are said to be 750,000 bunkers dotted around the country: that’s more than one per every four Albanians! 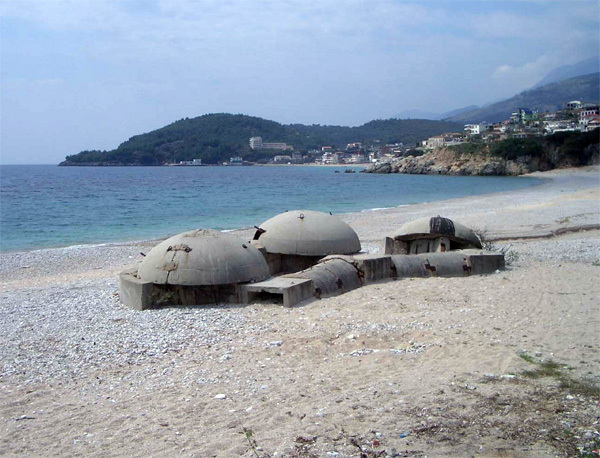 Here’s what you need to know about Albania’s concrete bunkers. 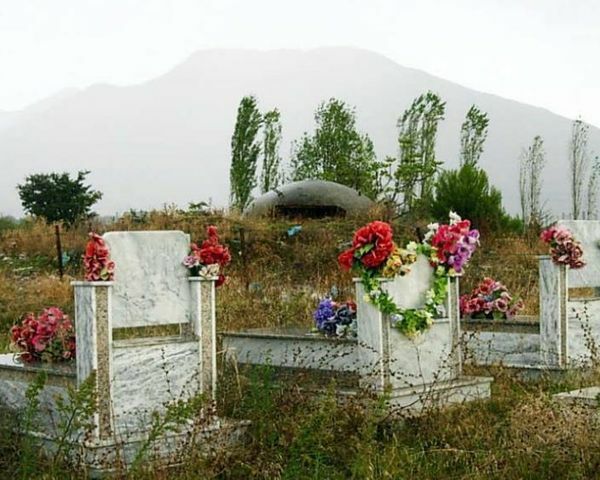 What are Albania’s Concrete Bunkers For? First, you need to know a little history. Between 1944 and 1985, Albania was ruled by Enver Hoxha, an authoritarian dictator. The country was communist and incredibly isolated: unlike Tito’s Yugoslavia, which tried to be friends with everyone, Hoxha saw both the “West” and the Soviet Union as enemies. He was paranoid about a potential invasion, and planned the bunkers as the first line of defence. If invasion were to occur, everyone would be required to fight, and the bunkers would protect them. The chief engineer claimed that each bunker, comprised of just concrete and steel, would be able to withstand an assault from a tank. 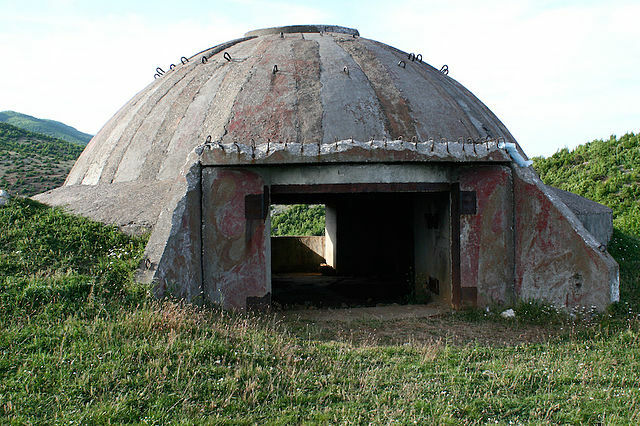 Hoxha tested the design by firing from a tank at a prototype bunker… with the engineer inside. It passed the test, and mass production began in the late 1960s. So the Concrete Bunkers were Never Used? Since the bunkers have proved so hard to remove, locals have come up with a variety of uses for them. In Durrës, visited by the Great Balkan Ride, one bunker has been transformed into a hip bar and hotel. Elsewhere you can find bunkers used as restaurants, cafes, nightclubs, or arts centers. More usually, you might see them used as a toilet, a changing room, or merely to provide some shade from the sun. One of Hoxha’s personal bunkers, a massive complex on the outskirts of Tirana, has been transformed into Bunk’Art, a museum and performance space. 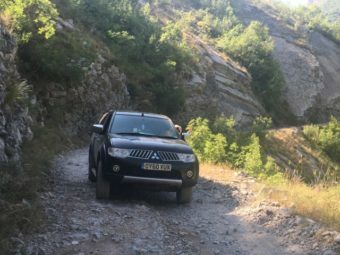 This is an essential place to visit if you’re nearby the capital, but if you’re anywhere else in the country you really don’t need to search them out… Albania’s concrete bunkers are everywhere!